How would we get the NIC info such as the NIC version or driver version? Here is the updated code to get the serial Number of the ESXI Host. Hi, im using the below but get a blank entry for Datacenter. If i do Get-datacenter -VMHost “host name” then i get the correct output. Why? how can I get virtual machine rhard disk withing a particular cluster .. Saved again by your amazing scripts. 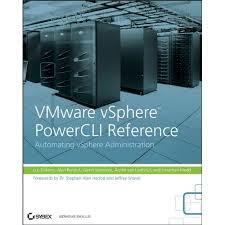 You should really add this to the vmware community powerpack. Hell I would would If I knew how. I really need this information for “socket” licensing stuff. lol. Anyone figure out how to get the host’s serial number? I can see it in VC under the hosts’ ‘Hardware Status’ ‘System summary’ information. Unfortunatly the serial number is a bit of a pain as different vendors put it in different places, have you checked Carters CIM script ? Can we return the hosts hardware serial number too? How can I get the datacenter where the hardware resides?